Getting rid of clutter isn't most people’s idea of spending a good time. But once it has built up, it needs to be dealt with. Otherwise it can quickly become a huge source of stress and worry. If you'd prefer to avoid all the worry and frustration, we are the people you need. Our experts at Handy Rubbish know everything there is to know about rubbish disposal in Stanmore, HA7. We deal with all types of Stanmore rubbish removal. So no matter what it is that's troubling you, with one quick call to us on 020 3540 8282 we can be there on the double to help. Keeping your property clean and clear can be easy when you hire us to attend to your waste removal HA7. Whether you just need us once after a redesign, or you'd like us to come every week for general maintenance of your waste, we will be there. We will accommodate whatever your needs are, and happily help out in any way we can. HA7 waste clearance is one of our many areas of expertise so when you call us, you can guarantee you'll get the best service and also pay the best prices, simple. Over time we all have to get rid of things we once loved and used. Sometimes this is simply a case of throwing it in the bin, but when you're dealing with old furniture, there's probably not a bin big enough to chuck it in. This leaves a couple of options: chop it up before disposing of it, or try and move it fully formed. Or you can call us on 020 3540 8282 today and let us deal with it for you. We are the experts in rubbish clearance Stanmore, and we can do it quickly, safely and efficiently without you having to lift a thing. Anyone who has ever tackled the tedious task Stanmore, HA7 waste disposal will know what a relief it is once it’s done. But we know that not everyone has the time or motivation to take on the task, no matter how good it feels or how badly it needs to be done. Fortunately, this doesn't mean your loft can't get cleared, it simply means you need to call in one of our experts to do it for you. With our highly trained professionals on the case, loft decluttering is so easy you'll wonder why you didn't do it years ago. We want everyone in Stanmore, HA7 to be able to live a rubbish and clutter-free life. At Handy Rubbish, we know that not everyone has free time to do this. We can help, offering not only the best Stanmore waste collection HA7 service, but the best prices too. In this way we ensure everyone can live a life free of junk, no matter who they are. But if you don't believe that we do offer the best prices for waste removal call us today on 020 3540 8282 and ask for your no obligation quote and see how it compares with our competitors. We guarantee we won't be beaten on price. Call today and see for yourself. 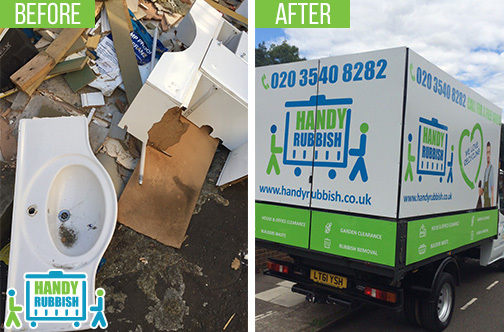 I definitely recommend Handy Rubbish because they’re undoubtedly the best waste removal company in HA7. Their services are cheap too; I found that they offer the cheapest service in Stanmore, so I took advantage of their deals and didn’t regret it! Stanmore Park is one of the most appealing aspects of this district, which is located in the London borough of Harrow. The park has many open areas for leisurely strolls as well as playgrounds and a café. 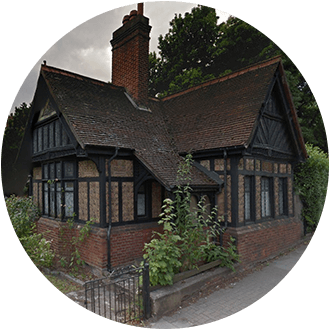 Another big draw for the area is Stanmore Hill which is one of the highest naturally occurring points in London, and offers excellent views across the area. HA7 is primarily a residential area, but does offer a great selection of shops, bars and eateries for residents and tourists alike. The local schools are some of the best in London and are a major attraction for new residents.